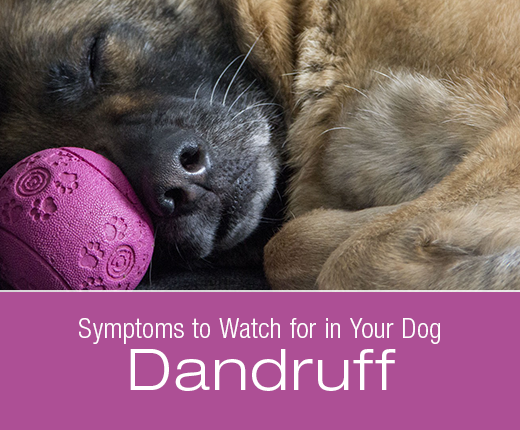 Symptoms to Watch for in Your Dog: Dandruff | Dawg Business: It's Your Dog's Health! When the quality of your dog's coat changes, when they start having skin issues, you need to look past skin and coat. There is a reason for everything that happens in the body. What could be the reason behind your dog's dandruff, then? When Jasmine started suffering from dandruff, among other things, she was diagnosed with hypothyroidism shortly after. And guess what? Once that got treated, dandruff went away too. Why could your dog get flaky skin? There are some relatively benign causes such as lack of grooming, too many or too little baths. Don't forget, though, that by allowing the skin to remain unhappy, you're begging for further trouble down the road. Your dog's skin is like a protective armor; do take good care of it. Strangely enough, it is humid rather dry conditions that are more likely to contribute to skin issues. If your dog's skin is like an armor, the skin oils are like a power shield. Not enough omega fatty acids in the diet will reflect in the skin before you can see problems anywhere else. 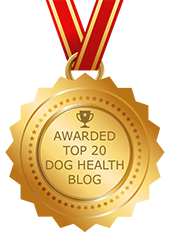 These fats are vital; fortunately, fixing this problem is easy by adding some more linoleic acid and/or omega-3 fatty acids to your dog's diet. While, officially, it is only the omega-6 (linoleic acid) which is essential, the debate about the essentiality of omega-3 is not over for many reasons. As well as omega-3 are anti-inflammatory and can help battle skin issues that are rooted in allergies. Deficiencies in other nutrients that work to promote healthy function of the immune system, such as zinc, can also be at play. Though it seems that boosting linoleic acid in the diet can sort out quite a high percentage of cases. When the skin is irritated and inflamed, it is unable to maintain a normal function. That can result in flaky skin and even secondary infections. Those can then further aggravate the issue. Endocrine disorders that mess with cellular turnover and maintenance will quickly reflect in the skin. That includes hypothyroidism or diabetes, in which not enough energy is available for normal function, Cushing's disease, where available resources are redirected to a fight or flight state and normal maintenance is put on hold. I'd be surprised by a case of a primary bacterial skin infection unless there was a major trauma to the skin's protective barrier such as trauma or surgery. Most of the time they happen because some other vital function has broken down. 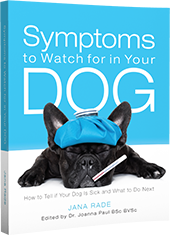 Parasites and fungal infections can be a different story as some of them are very contagious. There is even a parasitic infection that is called walking dandruff, cheyletiella mites. It is the mites themselves that look like dandruff. Yikes. When the immune system becomes unable to perform its function normally, you have either an immune system that lets invaders run the place or goes wild and attacks the very body its meant to protect. Allergies are one example but there are more conditions where the immune system goes haywire. And with underlying systemic issues, it might not get sufficient energy or nutrition to do its work. Sebaceous glands are the very glands responsible for excreting their oily matter to lubricate the skin and hair. Seborrhea is a term describing dysfunction of these glands. Notice that the word ends the same as diarrhea. Yes, the problem has to do with unruly flow. There are two types of this disorder, oily and dry but often a dog might suffer from a combination of the two. Some breeds are genetically predisposed to suffer from seborrhea. More often than not, it is a problem that is secondary to another disease process as listed above. If flaky skin is the only problem I can see, I'm willing to revisit my dog's diet and grooming regime first. I wouldn't go trying out things for too long though. 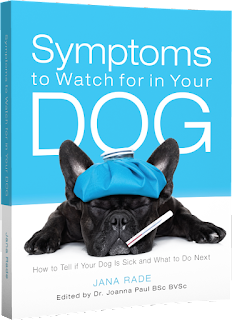 If my dog had flaky skin together with any other symptom, be it itchiness, frequent infections, lethargy or anything else under the sun, I'd want to investigate rather than experiment. That's a very interesting point you mention about humidity being the culprit more often than dry conditions - I'm surprised by that. I always thought dandruff was mostly related to over grooming or a lack of proper oils in their diet I didn't realise hypothyroidism was a cause. One of my cats had dandruff and hyperthyroidism so I suppose thyroid issues in both can be the cause. I haven't noticed any dandruff on my dog recently, but this is a great tip I'll be sure to spread to my friends if I notice any dandruff on their pups! Have you ever seen cases of "walking dandruff?" It's a bug...but looks like white flakes of skin moving around, yuck! Hmm...other than seasonal and environmental changes I had no idea dandruff of flaky skin could signal more serious health problems. Thanks for this informative post as always. Gonzo suffers from season allergies and gets a runny eye and dry coat, which is why I feed him coconut oil daily. It really helps. We are lucky that we've been able to help relieve symptoms naturally and there does not seem to be an underlying cause. A very interesting post. My boyfriend's cat had dandruff, and the vet said to give him some fish oil is his food so he'd get some Omegas. It worked like a charm. Lexy had some as well, and luckily it went away. I'm going to pay attention and see if Lexy gets it during the winter when it's incredibly hot and dry in our apartment. My cat had dandruff, but the vet was never concerned about him. He lived to be 17. I'll keep this in mind if my dogs start flaking. Yikes so many things can go wrong. I usually think of dandruff as dry skin but clearly lots of other possible causes. Good to know. Haven't noticed any yet but am diligent in checking Kilo for any changes now. My Huskies fortunately have never suffered from dry or flakey skin...until this summer! My senior gal has had some balding due to allergies from the horrendously humid summer we've had, and you are correct, flakes accompanied the fur that came right out and left behind bald spots. Freaked me out until I learned from the vet it was allergies that triggered a skin infection and she is (still) being treated for it with a topical and she was on an antibiotic. I am Pinning this to share! Another great and informative post! This is the perfect time of year to share this information. People (in my area) have started turning the heat on. Some would assume the dry skin might be a result of that. It definitely is important to consider other, health related reasons for changes in skin and the appearance of flakes. Wow! I always thought dandruff was due to dry skin!